It’s a judgemental parenting equivalent of feeding your toddler a McDonalds. It seems we modern parents, constantly using our phones to google nursery rhyme lyrics, medical rashes or, eek, parenting blogs, are setting the ultimate double standard for our kids. There is a fear that every time we plonk them in front of a screen that we have in some way failed them. We’ve condemned them to a life lobotomised. I’m sure you can tell from the hyperbole that I don’t really believe that all screen time is bad. My son has learnt mental arithmetic from the games on Nana’s iPad, intergalactic factoids from Space Racers on Netflix and some pretty mad Ninja skills from those Teenage Mutant Turtles. That said, I’m not immune to the nagging feeling that he spends too much time sitting staring. Perhaps you feel the same nagging guilt and want to get your kid up and active. I see all kinds of classes for this kind of thing, in fact we even tried Rugby Tots once upon a time. The truth is, with our non-traditional schedules and work routines, I’m reticent to sign him up to anything that requires a 6-week long financial commitment. A series of one off events, no commitment required, just show up and start running, then stop and look at the map, then run a bit more, then stop and look at the map again, then swear, then run in the other direction. We partook in a few of their Park Series last summer and have just returned from our inaugural event of this season, the Brill Hill Orienteer (?) Orient (?) Teer (? 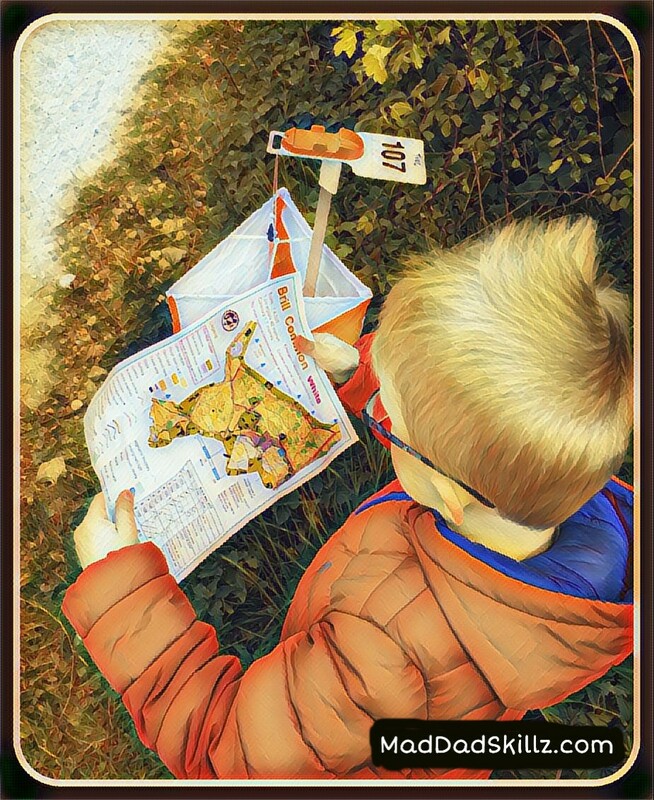 ), what is the correct term for an Orienteering Event? I don’t think anyone knows. The Thames Valley Orienteering Club run these events extremely well with plenty of friendly volunteers to welcome you and explain the process. A few tents set up on the side of the road for registration and payment (cost us £6 as a “family group”), map issue and the all important download of your time. They usually have a few different routes of varying levels of difficulty, the hardest being a 4km route with “navigation skills needed”. Who let the 4 year old hold the map? Two grandparents not entirely certain what they’d let themselves in for. After struggling to select which age group to enter (we ranged from 1-65), we opted for the White route. 1.1km, all on paths with easily visible points. Sounds pretty easy, made infinitely harder by a 4 year old who won’t relinquish control of the map. The great thing about these events is there are loads of families, of all ages. Sure there are people trying to set good competitive times but, as a family group, you are never made to feel like you are in the way. Everyone is there primarily to have fun and get out in the fresh air. 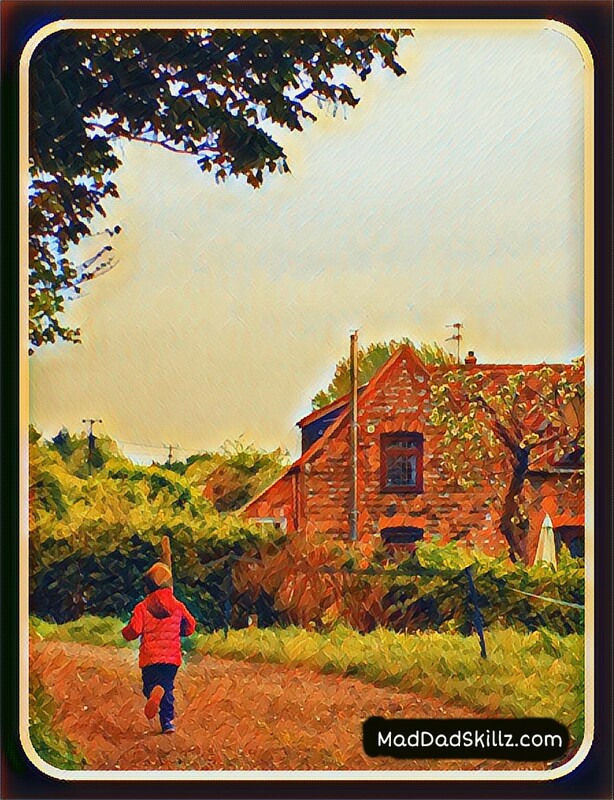 So we plodded on happily in the shadow of the windmill, up and down the undulations of Brill Hill, trying to keep pace with a 4 year who screamed every time he spied one of the markers. He ran on ahead, he did an earnest job of studying the map, and he got annoyed when there wasn’t actually any treasure at the end of our “treasure hunt”. All in all it was a delightful 24 mins and 21 secs with a good sense of achievement for everyone at the end. 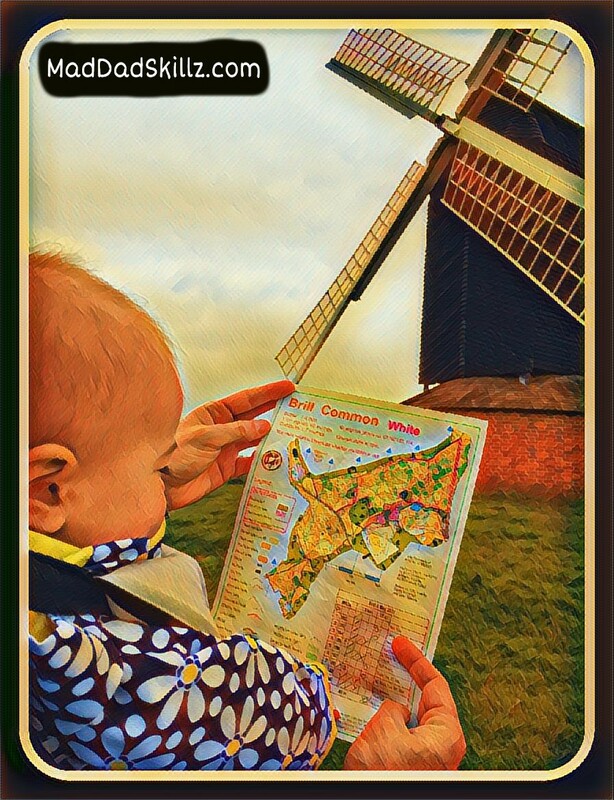 I believe it’s great to get the kids learning skills like map reading and compass work and I look forward to the day I can dispatch them both on their own to race against each other, possibly while I retire to the nearest country pub. So thank you Thames Valley Orienteering Club for a great outdoor family adventure and thank you for alleviating my guilt as I settle down to yet another screening of Moana this afternoon! This post is in no way sponsored or requested. I just had a nice day out and thought you’d like to know.